Buy OSRS Gold on R2Pleasent.com - New Explainer Video Live on YouTube! Good news. 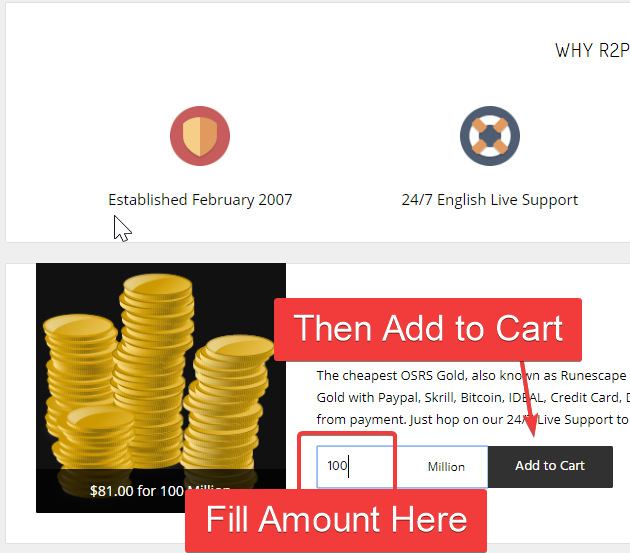 We've just launched a new explainer video which shows you the complete process of how to buy OSRS Gold on our website, R2Pleasent.com. The video shows you the full purchase process, from nagivating to our website, through selecting the product, adding it the cart, completing the checkout processing, and payment. As our repeat customers know, once the payment is completed, you are automatically sent back to our website, and you are placed into a Live Support chat. In this chat you'll arrange delivery with the Live Chat agent online (don't worry, there's always an agent online, we run 24/7). 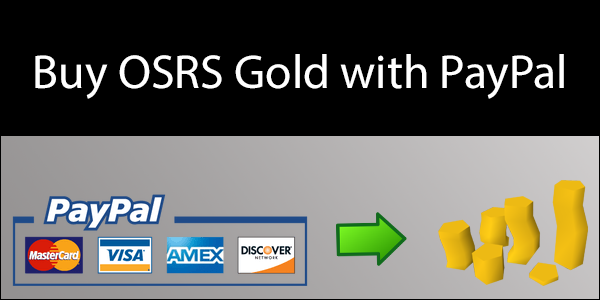 Buying with Paypal on R2Pleasent Gold is very simple. First, navigate to the product you’d like. 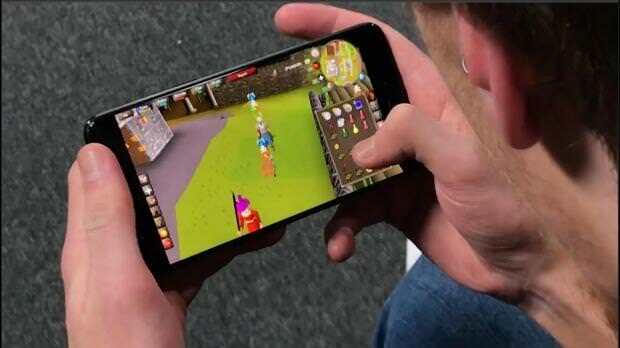 For OSRS Gold, you would click to go to our Buy OSRS Gold page. From there, you simply select the amount of gold you want to buy. All units are millions. For 100M, you’d simply type 100, then Add to Cart. Screenshot from the "Buy OSRS Gold Page"
Are you looking to sell Old School RS or RS3 Gold and receive money directly to your bank? Usually bank transfers take up to one week to process, or have very high fees. Sometimes they have both. But with the new online money transfer service, “Transferwise”, it’s now possible to receive your local currency, into your local bank account, without any fees whatsoever. That means you get a fair exchange rate, and no receiving fees, directly to your bank account. Are you a Canadian person, or someone with a Canadian bank account, who is looking to buy Runescape Gold? Many websites, including our own, often have limits for the amount you can buy with Paypal or using a Credit Card. But did you know, we have absolutely no buying limit for customers using Interac eTransfer (which is the same as Canadian bank transfer). All you need to do to buy OSRS Gold or RS3 Gold on our website is access to your online banking. To buy with interac etransfer on our website, first you’ll navigate to the product page that interests you. Then just add the amount of gold you want to your cart, and proceed to checkout. On the checkout page, you’ll see a option for Interac eTransfer under payment methods. Simply choose this payment method and proceed to checkout, and you will be given all the information needed to pay for the order and receive your gold quickly. 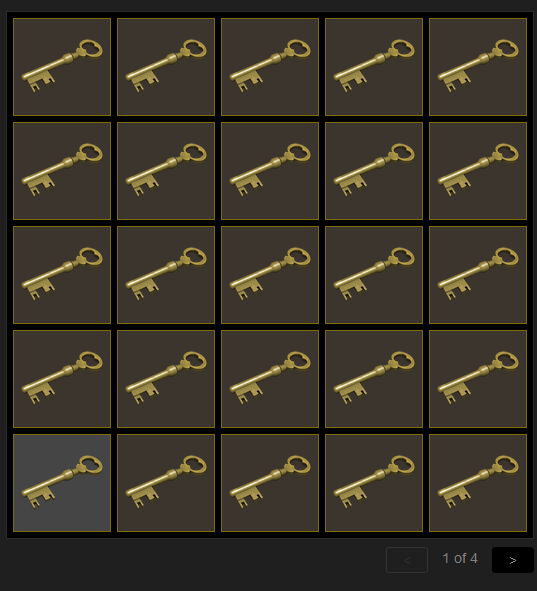 TF2 keys, CSGO keys too? 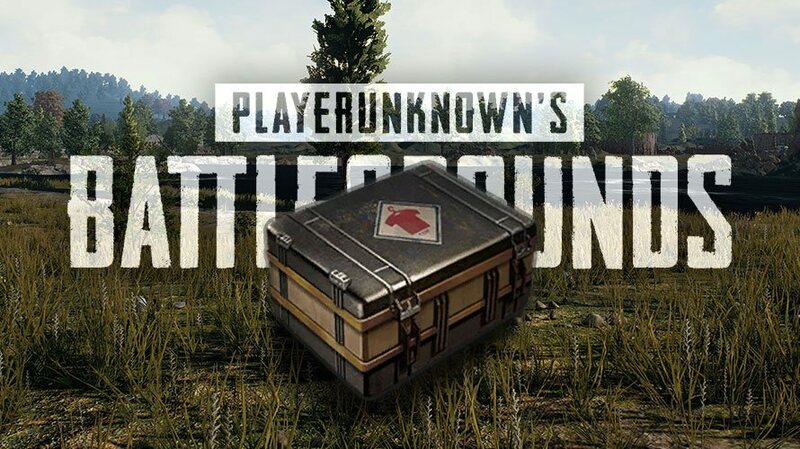 PUBG Skins, PUBG Keys, and PUBG Crates Now in Stock! Player Unknowns Battlegrounds has made a huge jump into the gaming scene over the past few months. The survival game has taken over the top 3 spots on Twitch almost since its launch. We know a bunch of you are playing PUBG, so we rushed out to find a steady supply of items for the game. Check out our PUBG Inventory by clicking here. Effective immediately, R2Pleasent.com now will keep a constant stock of Gamescom Invitational Crates, and Gamescom Invitational Keys. We will do our best to also find you the best PUBG Skins to list on our website. As with our CSGO Skins and Keys, all PUBG items for sale on our website are instantly tradeable between players. We also make sure to list our items well below Steam Market price, so you know you’re getting a deal when you buy on our site.